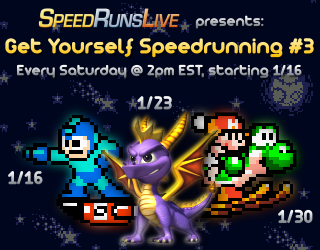 We're excited to bring back our Get Yourself Speedrunning races a third time, following AGDQ 2016! These races are designed to answer the popular question "Hey this speedrunning thing looks fun, how can I get involved too?" This time around, we chose games that are easy to get into, but have high skill ceilings. We feel we found the perfect selection, with a set that is sure to trigger the nostalgia in all of us. For those that can't join, we are going to be re-streaming some of the top runners of the game on our Twitch channel, featuring commentary by some of our favorite hosts in the community. Details on each race are as follows. Featured racers may change pending any last minute surprises. Goal clarification: Start on robot master select, .done on final hit to Wily. Final lineup: Ellonija, Duckfist, Pallidus, Nudua. Commentary provided by Coolkid, Golden, and SpikeVegeta. Tutorial resources: World Record run. Further information here. Goal clarification: Start on confirmation after file select, .done on final hit to Ripto. Final lineup: Walkers, Orsa, AlexDest, Dactyly. Commentary provided by Spudlyman, Golden, and Spikevegeta. Tutorial resources: World Record run. Goal clarification: Start on file select, .done on final text prompt after Bowser. Rules: No skipping levels via 1-1 warps. No simultaneous left+right inputs. 3-3 tongue glitch not allowed. Final lineup: Thecrispy22, mt76907, _Trix, Kolthor_thebarbarian. Commentary provided by Lee, Golden, and Spikevegeta.  Join the Get Yourself Speedrunning races every Saturday from Jan. 16th - 30th @ 2pm EST / 7pm GMT, and help to make them as big as possible! The most exciting change from our previous GYS events is that after the races, we will be holding an open tournament for each game. You may be familiar with previous tournaments in the speedrunning community such as our Mystery Tournament series, or the outrageously successful The Legend of Zelda tournament organized by the game's community. We will also be holding Mystery Tournament 8 in the spring. The idea of the event is that when you join the tournament, you submit a small set of games into a game pool. As people compete in 1v1 races, they pull a game from this pool. You never know what you might get, and that's what makes it perfect for veteran and novice speedrunners alike! Information on registering for MT8 will come shortly after AGDQ 2016.